A 12-week course for women serving in local churches. When will the next M2W Course be offered? The M2W course will next be offered in Semester 1 of 2019. The course will start on Friday 8th of February and will run from 10am – 1pm. Morning Tea is provided. The 12 weeks does not include Fridays during school holidays. I feel as though I know my sinful self much better; I know Jesus better, and I want to know Him even more. I am a woman in need of change, who is looking forward to helping other women in need of change, clinging to the cross all the while. M2W is for women in local churches who would love to be equipped to serve Christ more effectively. The focus will be on understanding, teaching and applying the gospel of Jesus to ourselves and to other women in the context of one-to-one relationships, small groups and evangelism to women. Click here to read an interview with previous course Co-ordinator Robyn Bain. The lecturers from QTC, who presented the more complex theology and doctrine topics, made the content easy to understand. I highly recommend the course to other women. M2W will run for 12 weeks in the seminar rooms at Queensland Theological College, 369 Boundary Street, Spring Hill. 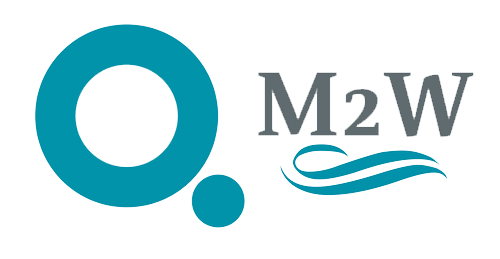 M2W will include a whirlwind tour of the Bible and will encourage women to think theologically as we get practical and look together at how to understand, lead, disciple, care for, challenge and equip women. Sessions will be run by QTC Faculty and a team of women from Brisbane who are passionate about serving Jesus. To be able to spend a block of three hours a week focused on the Word of God – leaving the distractions of life at the seminar room door – has been amazing, encouraging and rejuvenating. The cost for the 12-week course will be $380. (We’ll supply anything you have to read, so there will be no additional costs above the price for the course). If you find that the cost is an issue, please do not let it stop you from applying and be sure to discuss it with us. This course is designed to serve the local church, so we would encourage you to start by approaching your Pastor and Church Leaders. If they are happy to send you (they may even want to pay for you! ), we’d love to have you! Email us to request an application form. Simply fill out the form, get your Pastor to fill the relevant section, and return it to us at your earliest convenience. Applications are due by Friday 18th of January, 2019.